It’s been 8 years from the day when Multidots was incepted and we loved every bit of time duration, whether challenging or happiness-filled. 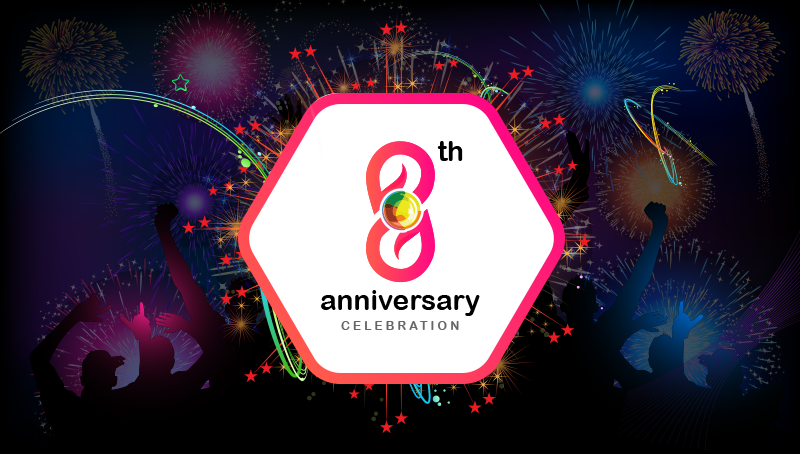 Here’s a letter from our CEO to customers and Dots on this amazing 8th anniversary of Multidots Solutions Pvt. Ltd. Seeing the company grow may seem fantastic, but it’s always due to the efforts which are put into work by the organization. In 2009, when we began, there was a small team of people working with finite resources but high optimism and passion. The entrepreneurship was new for me and therefore, I was on a steep curve of learning. Grasping the growing future needs of mobile and web application development, we tried mastering the sector and fantastically succeeded in that due to the dedication of our employees. Our focus always stays on connecting more Dots to Multidots team – the talented individuals, capable of meeting our customer’s expectation, equipping them with more potential at the same time. Currently, we have a massive team of 100+ professional, comprising of experienced as well as young brains to deliver world’s products and services. We are the proud innovators, working on the market’s leading technologies. The list includes WordPress, WooCommerce, BuddyPress, iOS, Android, Angular JS, Salesforce Commerce Cloud, and Node JS. 210+ WordPress websites, 50+ WooCommerce projects, 30+ Plugins, and 30+ mobile applications may seem overwhelming for a short span of 8 years but our people did really hard work to make this a reality. Becoming a leading web and mobile app development agency in the Indian subcontinent, gaining world’s most appreciating clientele and retaining most of them forever are some aspects of our journey which are cherishing and inspiring for us. We should celebrate progress in our perfection and that’s what we do! It’s our 8th anniversary – a moment which is reached after overcoming numerous obstacles and imperfections. I would like to personally thank every employee, client, random visitors, motivators, and everyone which was, either directly or indirectly, was a part of our journey. For Multidots, learning and growing is a continual process with no upper bound. We believe in presenting the world with better products, services, technologies and contributions to enhance the user experience and take the excellence to a new level. We have got an immense experience in these years and Dots will keep on doing their jobs with ever-enhancing skills. Our level of commitment, research, learning, quality, and professionalism will remain same or uptrend for sure. We know the obstacles will arrive again to polish us more and we’ll again win over them to prove that we’re the best. Cheers Dots and regards to our awesome clients. Thank you again!